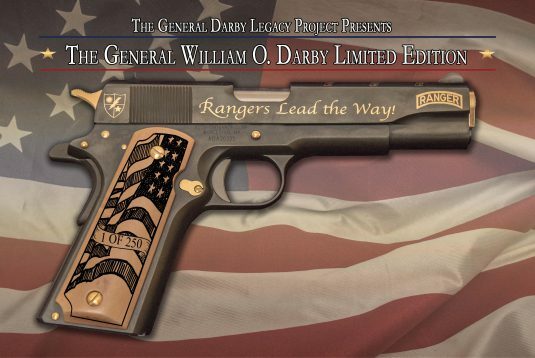 General William O’ Darby Special Edition - Wellington LTD. 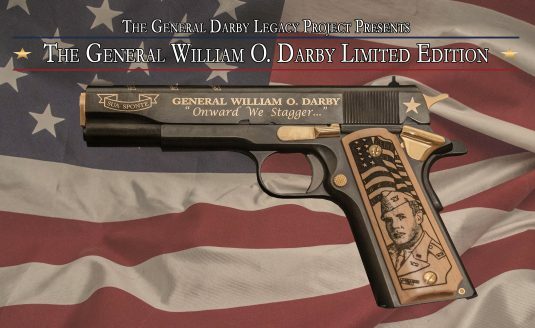 Available in the legendary Remington R1 45. cal. 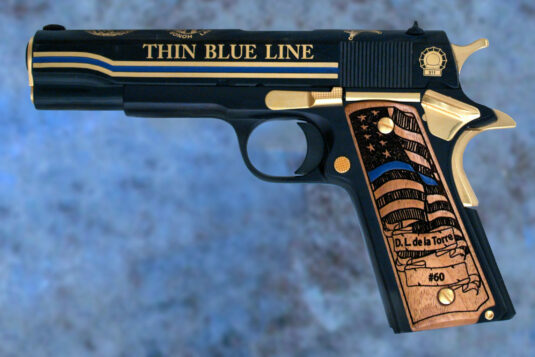 semi-automatic pistol, with engraved ivory grips and gold highlight. 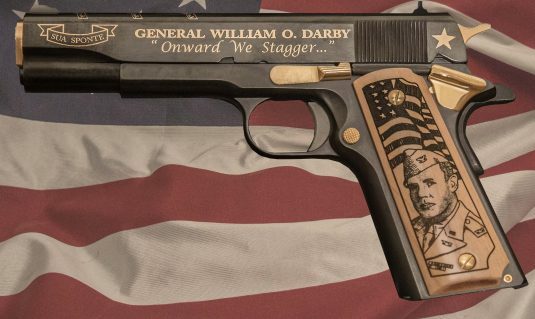 Banners on the frame pay tribute to General Darby & the U.S. Army Rangers motto and beliefs.